We sat down with Cyrus to discuss the exciting collaboration (proceeds—as in every penny—go towards helping those affected by HIV/Aids), as well as a whole lot more. From her surprising skin struggles to how she handles those Justin Bieber comparisons, Cyrus was refreshingly forthcoming and down-to-earth. Be prepared to fall in love—serious girl-crush material ahead. How did you decide on the hot pink color for the lipstick and gloss? Cyrus: I was pretty crazy about not only the color, but the way it was going to feel. Women wear lipstick or lip gloss for a long time, so you want to have something that feels good. I also really wanted it to be something that my fans are going to want to wear. The better it looks on them, the more people will ask about it and talk about it, and the more people to buy it, which is awesome and what we want—we want as many people to go out and get this color, to raise as much awareness as we can, and money as well, to go towards finding a cure for HIV/Aids. What’s your favorite way to wear the products? Cyrus: I do both together. I tell girls that less is more, but I’m a “more is more’” girl. 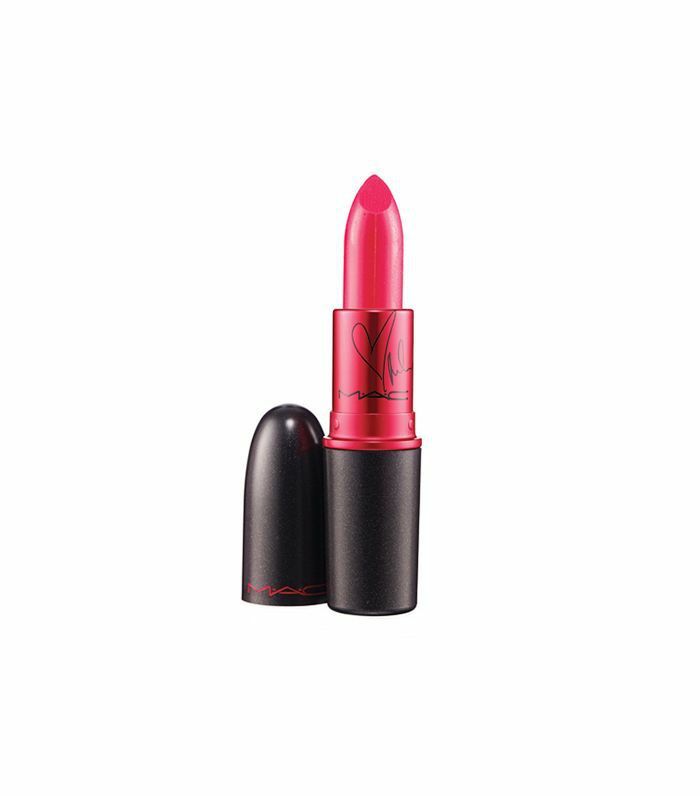 What has been your favorite part about being a Viva Glam girl and working with MAC? Cyrus: For some young kids from places like where I am from in Nashville, going by a MAC store is one of the first times you see people who are totally free—crazy colors, crazy hair—just the freedom in that store. And you go in there, and they make you feel a certain way because it’s part of expressing yourself. And that’s what lipstick has always been for me. My mom would never let me wear eye makeup when I was younger. I could never really put things on my face, but she would always let me wear lip gloss. So that’s why I kind of wanted to make the pink lip gloss something for kids who were my age, that their moms might let them wear. Walk us through your beauty routine. Cyrus: I always had really bad skin growing up, so I’m obsessed with taking care of my skin. No matter what, I don’t pass out in my makeup. Like I will make sure I zombie walk [to the sink], no matter how late, and wash my face, because I just think it’s so important. I do my own makeup, because I’m so obsessed with being clean. My skin was always so bad that I felt like any time anyone else did my makeup it would just take me back. I think it’s important for girls to just try and really take care of skin and keep it clean. I never used to understand the importance of washing my brushes, but it’s so important. Your skin affects so much of how you feel, and your confidence. [Growing up], I always felt like no matter what I had on, or where I was, everyone was always staring at my bad skin. Cyrus: Wash the mug. I’m telling you. I just have to. What are your desert island beauty must-haves? Cyrus: I definitely need some gloss. All the time. “Lip gloss is poppin’” should have been my song. I also would definitely have my little nail file. It gives me something to do. Do you have any weird beauty secrets? Cyrus: I have some weird beauty secrets. One time, I did something which I regretted immediately. You know that famous photo of Marilyn Monroe shaving her face? I tried that once, because I felt like that was a beauty secret, and it was insane. Don’t shave your face, ever. I walked out looking like my brother. I had on the little [bits of toilet paper to cover knicks]. I don’t know, maybe it’s just me, I can’t even shave my legs without looking like I’ve just been skateboarding. What’s your favorite makeup look for a night out? Cyrus: I think a lip is the best. I’d rather have nothing on but lipstick—lipstick is the way to go. I also live for an eyelash curler. If you just curl your eyelashes, you don’t need mascara. If you have an emotional breakdown and you cry, you’re fine. You can fall asleep and not ruin anything. You famously cut your hair a few years back, which is a huge beauty transition for someone who has had medium to long hair her whole life. What are the top short hair tips you’ve learned along the way? Cyrus: Girl’s gotta get some earrings. If you cut your hair, you gotta go get your ears pierced. Right away. One of my friends, who has this really cool shaved head, she bought me a pair of big, gold door-knocker earrings the day after I cut off my hair. And she was like, “Watch, you’re gonna want these with the short hair.” People still mistake me for Justin Bieber—not with my Viva Glam lip on, they know that I’m a girl—but lipstick is good, earrings are good, just good things to remind people that you’re a girl. Because I get asked if I’m Justin Bieber all the time [with short hair]. Even though Justin Bieber wears very similar earrings to me. But he doesn’t have the gloss. Yeah, he doesn’t have the gloss. Is there a beauty look or hairstyle you want to try next? Cyrus: I had blue hair when I was younger. But now I’m scared, because I had one major damage thing where I bleached my hair and woke up with all my hair on my pillow and basically had to start over. That’s if you look at photos of me from like two years ago when I was bald. So I’m kind of scared to do that again. Because I know to do the colors you have to bleach, and I don’t know if my hair can handle it. One of my friends just did pink the other day. Pink is so cute. It’s my favorite color, and I would like to have it, but I don’t think my hair can handle it. Workout-wise, you’ve spoken a lot about Pilates. Is that still what you’re into? Cyrus: Yep. After this day, I have to go do Pilates. Usually I’m stoked to do Pilates, but I know I’m gonna get whooped. My teacher, Mari Winsor, who is like a total icon, she is the most badass, and she whoops me. After even a long day, she shows no mercy. Cyrus: I don’t do it everyday—I’m trying to. It depends on how much I work. Like even today, I want to bail, but I know I won’t. It makes you feel so good. 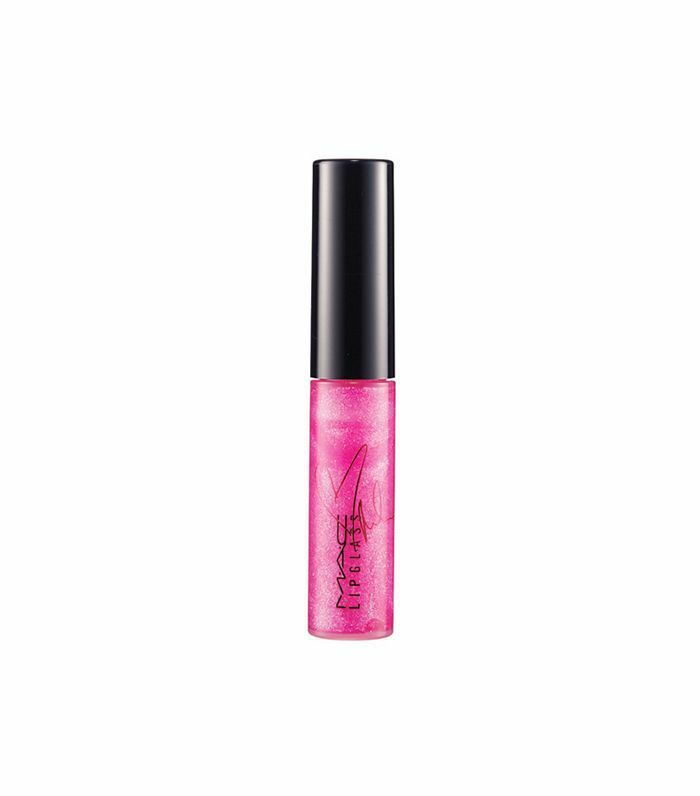 Keep scrolling to shop the limited edition Viva Glam Miley Cyrus lipstick and lip gloss!